Use Compliment Slips to add a personal touch. Standard DL (1/3rd A4) size of 99mm x 210mm. Send simple communications to your customers and clients with personalised compliment slips. Whether you wish to send a short message, a little reminder or a simple thank you, our custom printed compliment slips featuring your company logo, contact details and address will help you add that personal touch. 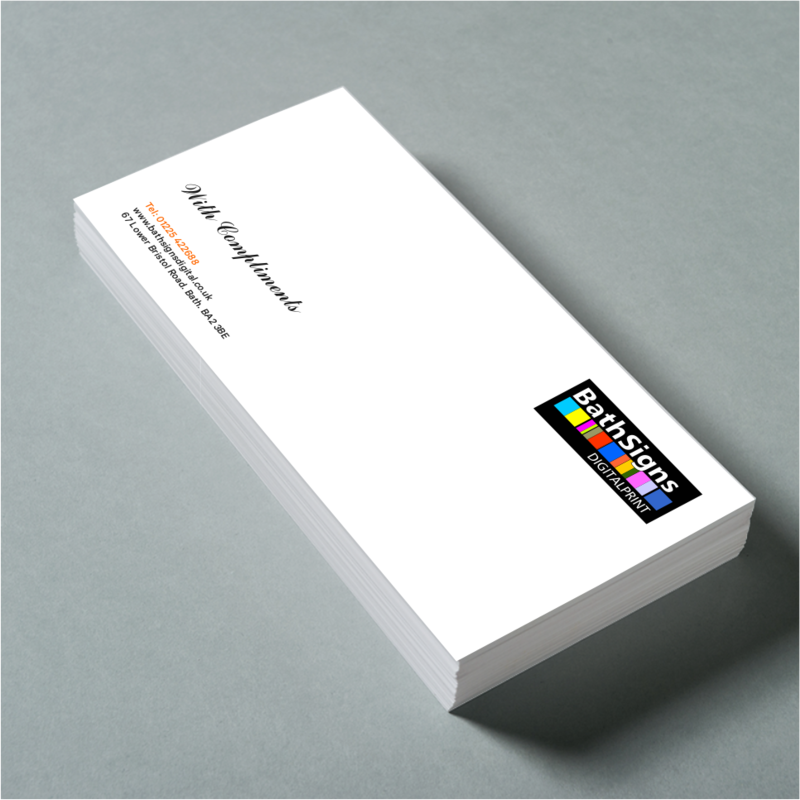 Our compliment slips are digitally printed in full colour, onto lightweight 100gsm plain white uncoated paper. They are trimmed to the standard DL (1/3rd A4) size of 99mm x 210mm and fit perfectly into DL sized envelopes. Our most popular compliment slips are single sided, for double sided please contact us for prices.